Adjust volume automatically depending on the circumstances. SMART PADS - SMART STORAGE! The pre-connected ‘Smart’electrode pads are stored in a clear storage compartment on the underside of the unit. This ensures that the iPAD SP1 is always ready to be used in the shortest amount of time possible. The unique technology built in to the iPAD CU-SP1 and the ‘Smart’electrode pads allows the unit to detect, when connected, if a set of pads has already been used. If they have, the user is advised of this. In addition, the visual indicator on the front of the iPAD CU-SP1 indicates if the connected pads are within their life expectancy. The indicator will change when the pads have only 3 months life left before their expiry date-giving you plenty of time to arrange for replacements. The indicator will change again when the expiry date is reached. Checking the life of your pads is as quick and simple as looking at the LCD display. CPR is vital to ensure that the casualty has the best chances of survival. The iPAD CU-SP1 detects if CPR is being performed when appropriate prompts and encourages the first responder. 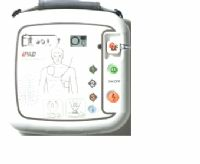 If CPR is not being performed, the iPAD CU-SP1 prompts the first responder to ‘perform CPR’. 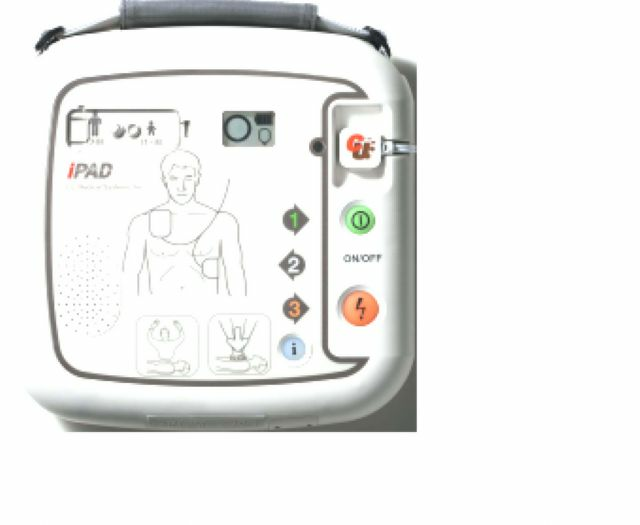 If CPR is already being performed, the iPAD CU-SP1 encourages the first responder by prompting them to ‘continue CPR’.guide the users. Getting information from the iPAD CU-SP1 after an event is now easier than ever! Installing CU-EX1 software onto a computer allows you to see and analyse the usage history of the unit. Information such as time of ‘power on’, the casualty’s heart rhythm and shocks delivered are all presented in an easy to understand fashion. The iPAD CU-SP1 can store up to 5 events with up to 3 hours of ECG analysis on an SD memory card. The data can be transferred by either simply removing the SD card, or by using the inbuilt infra-red (IrDA) port. Having the data on an SD Memory card allows the card to be removed for analysis whilst another card is inserted, making the unit ready to use again whilst retaining the original information.